Cee’s major Christmas present was a new art table with plenty of storage so that she can have a comfortable work space that is out of reach of her brother (for now) and that doesn’t need to be cleared for every meal. I also had fun choosing some new art supplies as stocking stuffers for her. The art space is still evolving, but Cee spent most of Christmas day (and the days that followed) working at her new table. The first half of this book is about how to set your life up for inspiring creativity through the space, supplies, and process. It discusses things like how to talk to your kids about their art in ways that let them lead the conversation. (“Tell me about your painting,” instead of, “What is it?” or “That looks like a house.”) The second half provides 60 art projects for ages 1 through 8. These projects are meant to inspire creativity, not necessarily give a certain product. I love that they’re generally simple, most using supplies that we already have, and many of them integrate cooking, science, outdoor play, and observation of the natural world. We’ve started playing with a few simple projects, and I can’t wait to dig into more in 2016. Jean Van’t Hul published a second book in 2015 called The Artful Year. Her first has enough to keep us busy for a while, but maybe I’ll add this one for next year. 2. Do more science together. Through the toddler years, kids organically conduct their own science experiments every day, and I don’t think they need a lot of guidance on structured experiments. When Cee turned 4 last year, we got her this science kit. It gives you some nice basic supplies like tubes and a pipette, and it had a few good experiments in it, but I think that at 5, Cee has already outgrown it. She’s starting to ask more complex questions about science, and she’s enthusiastic about doing more interesting and surprising experiments. Enter our next book: Kitchen Science Lab for Kids by Liz Lee Heinecke. 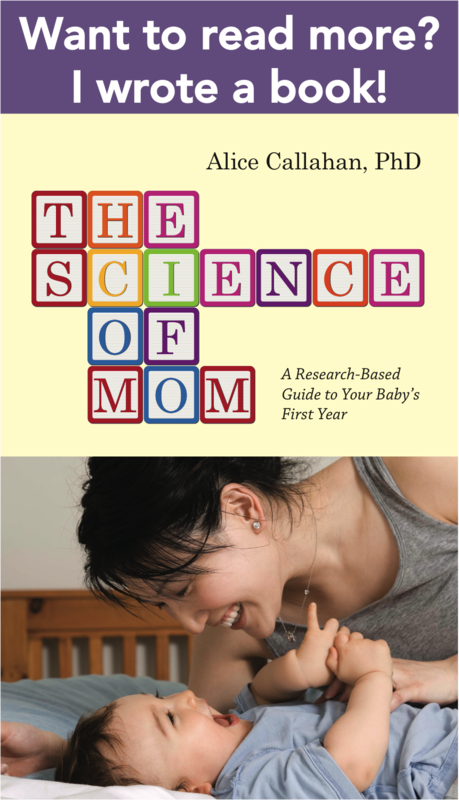 I learned about this book from Tara Haelle’s list of Five Science-Based Parenting Books, which also included my book. With this book, you can skip the kit, because you have most of the supplies in your own kitchen. (Also, a recent post on Heinecke’s blog, The Kitchen Pantry Scientist, gives a list of supplies for a homemade science kit with way more potential than most you’ll find for sale these days.) The book includes 52 experiments, many of which are perfect for Cee right now and others that will be more suitable in a few years. Cee making Tie Dye Milk. The instructions very clearly stated not to stir, because it makes it harder to see the effect of soap breaking surface tension. Cee said, “But it’s fun to stir!” She was right, and this experiment merged both art and science. She repeated it a few times. 3. Keep talking to Cee about the value of money and how we – and she – can choose to use it. One of the most useful parenting books I read last year was The Opposite of Spoiled by Ron Leiber. Cee asked for an allowance about a year ago, when we read A Baby Sister for Francis in preparation for the arrival of BabyM. Francis gets an allowance, and Cee wanted one, too. I was totally lost about how to do that until I read Leiber’s book. Now Cee gets $3.00 every Saturday (well, when we remember), and she puts one in each of three jars: Save, Spend, and Give. This simple exercise has opened up all kinds of interesting conversations and choices. For example, Cee decided that she wanted to buy her own band-aids with her spending money, because she was fed up with me saying no to band-aids for every invisible bump and bruise. We spent a long time looking at all of the band-aid choices and comparing prices. She had to choose between a box of 100 plain band-aids in various sizes or 20 princess band-aids, each for about $4.00 – a full month’s worth of spending money. Talking about and practicing with money has encompassed so much more than how we spend it. It’s given us lots of math lessons, for one. It’s also given us a little context for how we talk about privilege and helping others. Homelessness is a very visible problem in our town, and we discussed the pros and cons of Cee giving her Give jar money to people she sees on the street. That opened up conversations about how else we can help those in need and inspired us to start volunteering with the Burrito Brigade, a local group that makes and distributes about 500 burritos every Sunday. It’s rewarding and tangible work for both of us, and Cee ultimately decided to donate her Give jar money to the Burrito Brigade. She was assured that it would buy a whole lot of beans, and we both felt proud of that. Lieber’s book digs into topics that I haven’t even begun to think through yet, like why all kids should work and the materialism that will no doubt hit us by middle school. That’s why I’ll be rereading this book and continuing these conversations with Cee this year and likely, in the years to come. 4. Stay on track with happy, healthy eating and cooking as a family in 2016. I feel like eating is one thing my family does consistently well, but it’s also always hard work and a work in progress. We’re pretty good about cooking balanced meals and eating together. Mealtimes with both of my kids are pleasant right now, as Cee is branching out to become more adventurous with her eating and BabyM, who just turned one year old, is in that wonderful period where he’ll try anything and has a big appetite to support his rapid growth. Ellyn Satter’s Division of Responsibility for feeding kids has been my guide from the start. I love its simplicity, and I always recommend Satter’s books, Child of Mine and Secrets of Feeding a Healthy Family, to other parents. I’m including this as a resolution because I think we all need a bit of a reset after the holidays. We relax our usual routines and structure with treats over the holidays, and as we head into the new year, our daily candy intake is still higher than normal. It’s time to get back to a healthier balance, but I don’t want the focus of that shift to be on limiting treats, although that is part of it. Instead, I want some new inspiration for having fun trying new (non-dessert) foods and getting Cee more involved with cooking. I just received a review copy of a new book that might help with this: Raising a Healthy, Happy Eater by Nimali Fernando and Melanie Potock. I’ve only read sections of it so far, but it looks like a great resource. Potock is a pediatric feeding therapist and wrote a guest post for Science of Mom last year on getting your baby off to a good start with solids by ensuring he has a comfortable and stable seat at the table. I think it’s also Potock’s perspective and background in feeding therapy and as a speech-language pathologist that sets this book apart. I find the developmental and cognitive aspects of learning to eat fascinating, so I love that this book describes these at each stage. If your child has special challenges with eating, you might find this book particularly helpful. I’m looking forward to reading more of this book as BabyM’s eating develops, knowing that he’ll likely become more selective about foods in the next year or so, as most babies do. With Cee, I’ll be trying out some of the recipes in this book and using its tips on school lunches when she starts kindergarten next fall. Beyond those books, I’m excited to do more reading this year. I’m currently reading and enjoying Eula Biss’s On Immunity: An Inoculation. Up next is a book with a similar title but quite different content: Immunity by William E. Paul. I’m thrilled to have found a local science nonfiction book club, and that’s the book we’re discussing next. Finally, I’m giving myself NeuroTribes: The Legacy of Autism and the Future of Neurodiversity by Steve Silberman for my birthday. I’ve heard wonderful things about it, so I’m looking forward to reading and learning from it. What are your parenting resolutions for this year? And what are you reading these days? What a lovely post! My resolution is to spend more one-on-one time with my son. I work full-time now, and so family time is really precious, especially on the weekends. But twice a month, I’d like to have a mama-and-son day when we head out just the two of us. My son is 3 and a half now, and I know that the time will come when he won’t be so interested in hanging out with me for extended periods of time (especially in public!). I like our family dynamic, but I think it’s important for him to feel comfortable with both my husband and me individually. Our other resolution is not to “talk over” our son at mealtime. Because of work, my husband and I just want to unload all our stored up thoughts to each other at the table: about how our days went, the news, etc. But our son will either act out, intentionally dropping his fork or making a mess, or worse, just check out and look down. Maybe importing some of my teaching tactics like making everyone say something about X, will help us with this. We’ll see! Wishing you a 2016 full of joy! Happy 2016 to you, too, mt! I love your parenting resolutions. Important, specific, and definitely doable. Have a wonderful year, and enjoy your time with your son! I really love this system, and I highly recommend the book! Thank you, and you too! On Immunity has been an interesting read for me so far. Her style as an essayist is definitely different from other reading I’ve done on vaccines. Lots of metaphors! I’m familiar with most of the information in the book, but it’s neat to read it from such a totally different perspective. Love this! I’ve long has on my list “The last child in the woods” & am planning to read this winter. I’d also add any of the Moosewood kids cooking books such as “Salad People” for getting kids involved in simple, healthy recipes. Both books tie into our parenting intentions for the New Year: spend time in the kitchen & outdoors together. I was actually thinking today about how getting outside more as a family should be one of our parenting intentions, so I’m glad you shared that here. That’s a challenge for me now with a baby that takes two naps per day, and a 5-year-old who doesn’t always feel like getting out in the rain:) But it’s one to work on, and you guys are always inspiring us with your photos of outdoor adventures! We’re headed to the snow and sunshine tomorrow! We love Pretend Soup by Mollie Katzen, and Cee has been trying out her new knives. Thank you for those! Hope you’re all well! I love this list! I am going to look into those books about healthy eating for sure. I have five boys and the youngest two are going to turn 1 in a few weeks. I am hoping they will be less picky than some of their older brothers have turned out to be! Love it! I need to be more present in general, Great post! We have a goal for the year. Potty training. I have no idea how to do this. Any book suggestions? Besides that I want to just be present and not be so hard on myself. But people have strong feelings about potty training, and I don’t think there’s great evidence supporting any particular method – parent-led or child-led. Just be sure that your kid is into it:) I’ve heard from others that they really like the Oh Crap! Potty Training book and website, so that may be one to check out. (I think that’s more of a parent-led resource). What a great post, thank you! I’m expecting my first in late February and have been consciously thinking about ways to create a healthy balance in my life once she arrives as part of my resolution. Currently I’m reading about labor and delivery but I love the idea of getting her involved in science and art from an early age and think these books will be helpful resources. We got our (animal-crazed) daughter sea monkeys and we are letting her take care of them. We tried letting her take care of the gerbil, but we all cared too much to let it suffer if she makes a mistake. We figured the possibility of dead sea bugs would be enough risk to manage and teach responsibility and daily planning. For art/craft projects, have you looked at Kiwi Crafts? Then send a kit every month, or you can go to their site for ideas. As for books – my 6 year old has fallen in love with The Frog Princess by E. D. Baker (and all the rest of her books). She’s now keeping her room spotlessly clean because I said I wouldn’t read until it was picked up. She will also race to get ready for school just to gain 5 minutes of reading time before the bus comes. It’s amazing how many life lessons can be taught from fiction books. For me – does anyone have any recommendations for practical books for parents on dyslexia and letter reversal for younger kids? 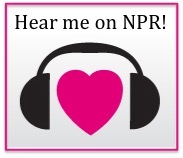 Maggie – I love these tips on finding answers to why questions. And we’ll definitely check out The Frog Princess! Cee is really into chapter books right now, and they’ve changed bedtime for us, in a good way. Great article! As I am new to this site, can you share how old is Cee? I am wondering when is the right time to start teaching our children about the concept of money. I have a 4 year old, but as a parent, I might tend to think that my little girl is not mature enough for the complex understanding of money (and its power!). But thanks for sharing your experience and I will definitely check out the “opposite of spoiled” book you mentioned! Hi Evy – Cee just turned 5 in November. We started doing allowance about a year ago. There is a lot that Cee doesn’t understand yet, but also a lot she has learned in the last year through these conversations about money. You have to start somewhere, and I think 4 is a good age!